The Arrival Article Index is especially aimed at international students who have just arrived or are about to arrive in Gothenburg to begin their oversea studies here. The list consists mostly of practical guides and practical information pertaining to life in Sweden, and Gothenburg in particular. We hope that these articles will serve to answer some of the questions you must have about life here. I you feel that there is something missing from the list, please feel free to write us and tell us about it. We always strive to improve the index and the services we provide. Important notice: the standard sized SIM cards handed out during the arrival day unfortunately won't activate. We try to fix it as soon as possible. 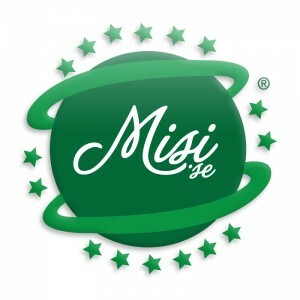 Please check Misi for updates. UPDATE: The new SIM cards have arrived. We will begin handing them out today at the pub crawl, and continue at the Karaoke on Monday. On Tuesday we'll hand them out at the Welcome reception, and on the 26th we'll hand them out at the Student Fair at IMO. Additional times to be decided on later. This is a series of ten podcasts designed to introduce you to the Swedish language. We apologize for the poor audio quality of the first three episodes. Episode 1 - Word order and verbs. Episode 4 - "What is that?" Episode 5 - "Weekdays and Time"
Episode 6 - "Weekdays and Time"
Episode 8 - "Money and withdrawing money from a store"